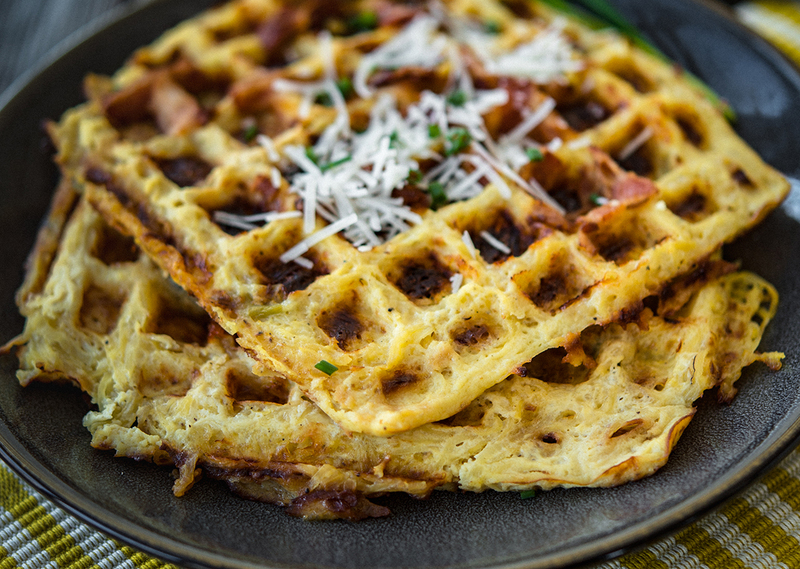 Attach upper and lower waffle plates and preheat Grill & Broil to 425°F. Place cooked squash in tea towel and wring out as much water as possible. 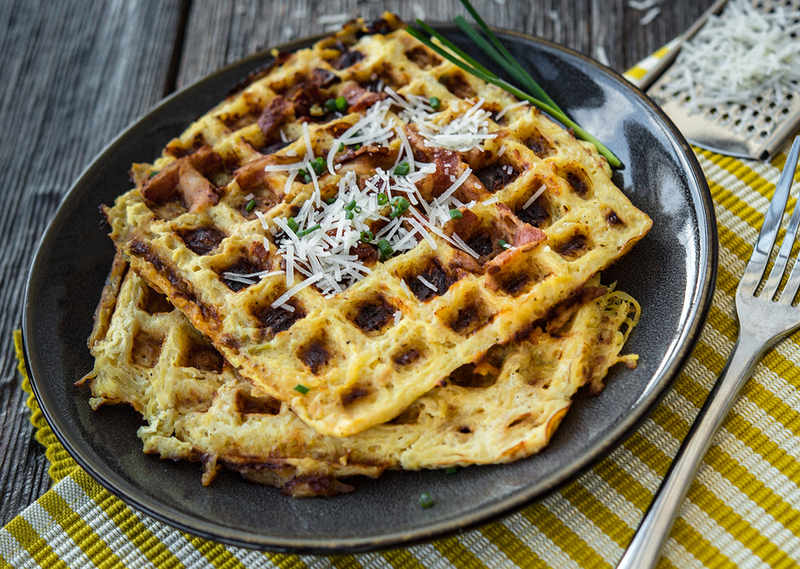 If excess water isn’t removed, waffles won’t become crisp. Place squash in large bowl and mix with remaining ingredients. Scoop 1 cup of mixture into center of each waffle plate. Close lid and cook for 8 minutes, or until waffles are golden brown. Move waffles to wire rack to cool and repeat with remaining batter.